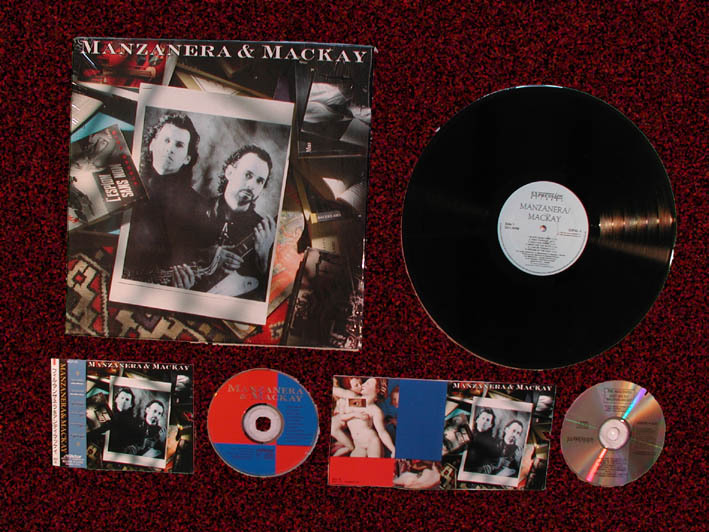 Manzanera Mackay was recorded as the 2nd Explorers album during 1987/88 but was never released during the lifetime of the band. This was eventually released by Manzanera Mackay on Expression records in 1990. The tracks where made available in USA on the albums Crack The Whip and Up In Smoke. These tracks, the first Explorers album and the extended mixes and b-sides from the Explorers singles are available on the double CD The Complete Explorers.